Lance Cpl. Trevor A. Chapman, a 20-year-old from Norwich, Conn., assigned to Regimental Combat Team 5 makes sure his M-2 .50-caliber machine gun is mounted correctly in the new Marine Corps Armored Turret System. 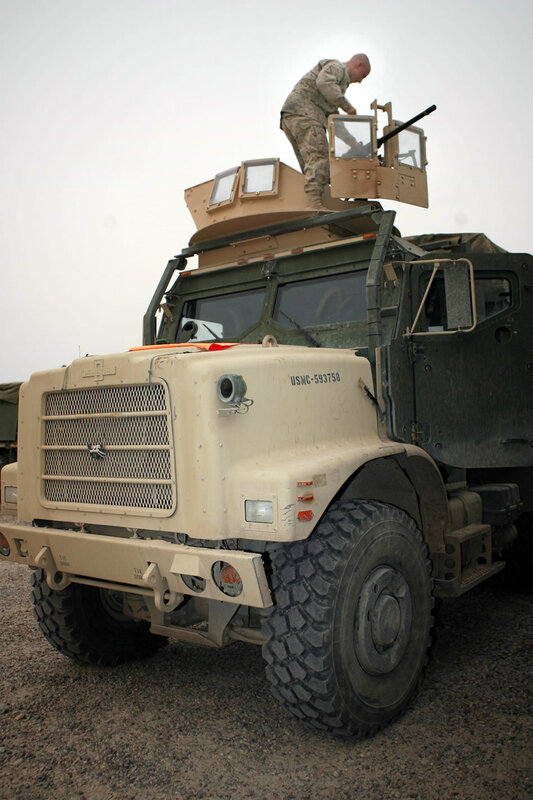 The new turret offers gunners greater protection and visibility with ballistic glass shielding.